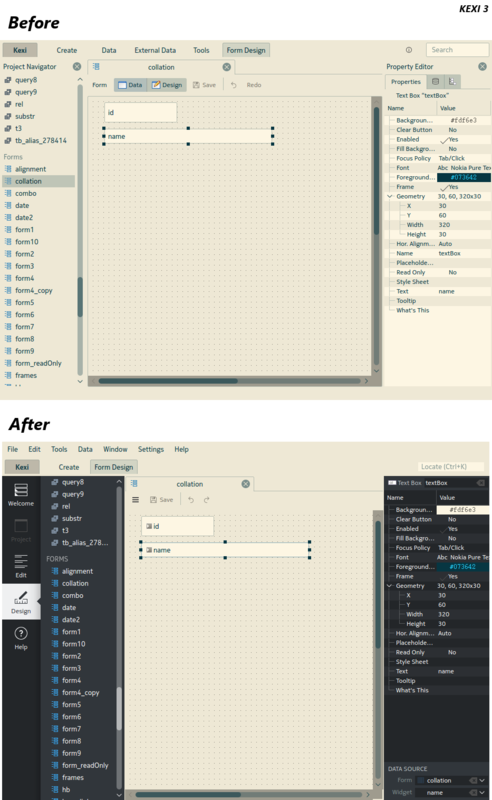 Recently the question was asked in the KDE forums how we handle advanced settings. While there is neither a best practice nor a common approach in KDE software, we actually discussed a similar concept in respect to the Plasma control modules (KCM). This post presents a proposal for a human interface guideline (HIG) that generalizes this concept for all types of applications. About two months ago I blogged about clazy, a Qt oriented static analyser. Since then it has moved to an official KDE repo http://anongit.kde.org/clazy, got an IRC channel (#kde-clazy @ freenode) and also many fun new checks. The latter two objects aren't in official use: Script is experimental and subject to rework; Macros (MS Access style, see old dev docs) are only planned. If you're new RAD world, for info on what these types of objects are, google for MS Access objects. Many of its concepts and naming make sense with the exception of Modules -- Kexi tends to use Scripts term instead.